Single Sessions are designed for those full-time retreatants who would like to sample a greater variety of topics, or for those who can only attend the retreat for a day or two. The workshop leader and/or topics change with each session. You can sign up for one A.M. Week Long Workshop OR five A.M. Single Sessions. Rev. Elizabeth Brown is an ordained spiritualist minister from Historic Camp Chesterfield, Indiana. She has been involved in spirit communication, mediumship development classes and messages and lectures at many Spiritualist Churches in Michigan. Elizabeth has been working with flowers and flower messages for over 15 years. She believes that working with the nature energies, flowers, and spirit encourages a quiet calmness which helps us to be more centered and loving. Ruth Geary has been attending The Great Lakes Retreat for many years. She is a Reiki Master Teacher and an Oneness Blessing Giver. 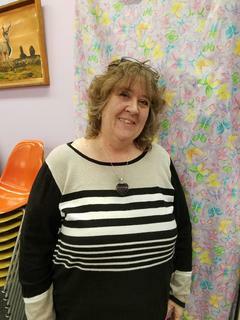 Ruth enjoys all types of spiritual studies and describes herself as a “dabbler.” One of her artistic outlets includes jewelry making, which is how she learned about Fairy Crowns. Frank Graham is a certified as a master crystalogist through Melodies Crystal Healing. He has lectured for graduate students at MSU, CMU, and at the annual Convocation conference. He was an adviser for student groups at MSU. He has been a metaphysical minister for 14 years. He has done extensive research on angelology, the elements, humours of the body, spiritual theory, spiritual philosophy, spiritual geometry, spiritual physics, practical spiritual energy application, protection, demonology, ancient mythology, and the Hermetica. 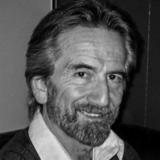 Jim Puskala is a certified Reiki Master and an ordained Spiritualist Minister. He uses his intuitive awakening to help others find their path. 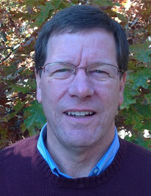 In 1993 he brought his spiritual awareness to a higher level through attending classes in Spiritual Frontiers Fellowship International of St Joseph, MI and has attended a wide variety of classes and workshops since that time. He also teaches and practices Sound Therapy with Soma Energetic Tuning Forks, Emotional Polarity, Touch for Health, Ama Deus, Whole Life Integration, and Reiki. He currently lives in Indianapolis, and teaches and practices at All My Relations. 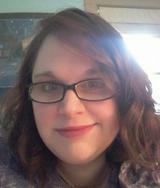 Katheryn Rutherford (crystalclearvision8.wixsite.com) is a Usui Reiki Master/Teacher, Karmic Reiki Master/Teacher, and the resident clairvoyant/medium at ReAlive Metaphysical & Repurposing Marion, Iowa. She has been teaching class in Chakra Healing, Reiki, meditation, and Spirit Guide Communication for over 10 years in the Iowa area. David Schroeder, LMSW, CPC (www.transitionpathways.com) is a clinical and spiritual social worker, life coach, and author. For 17 years in his practice, Transition Pathways, David has assisted individuals, couples, and groups in discovering healthy pathways to love, higher awareness, and greater potential. He conducts a variety of workshops on topics such as: Spirituality and Self-Esteem, Just Be Love: The Soul’s Journey (based on his book Just Be Love), Conscious Relationship, and more. Dr. Antonio Sieira is a professional member of the American Hypnosis Association, with certifications in past life regression, smoking cessation, and weight loss therapies. He is also certified by the American Alternative Medical Association as an Alternative Medical Practitioner. He is a practitioner of meditation for over 45 years. He spent time at a Buddhist Temple and Monastery where he learned the history, the basis, and the science behind mindfulness meditation from the resident monks. 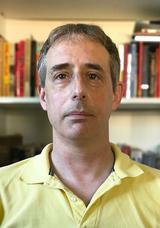 Antonio is also the author and teacher of The Mindfulness Meditation System. Deb Swingholm (www.floweringmoon.com) is an author, artist, educator and spiritual coach, has a passion for travel that has led her all over the world. Living in Thailand and the Middle East for several years allowed her an insider’s view few get to experience. With deep respect for the cultures, she was invited to participate in spiritual traditions, shamanic practices, and local rituals of the lands she traveled. A love of nature, the Divine Feminine, and women’s sacred traditions are reflected clearly in all her work. She is a Master Teacher of Feng Shui and Space Clearing, a Reiki Master and gifted intuitive with more than 20 years experience in the field of personal development and transformation. 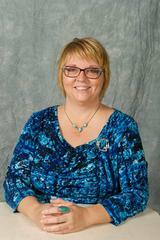 Niki VanderWilp, BSW, LMT, RM is a Licensed Massage Therapist and Reiki Master from the Grand Rapids area. She has speciality training in craniosacral therapy, reflexology, meridian work, EFT, essential oils, and natural health. Niki also has a background in social work and a passion for helping people release and heal from the life trauma they carry physically, emotionally, and spiritually. In her spare time Niki can be found barefoot in the woods, in a lake, herding or hugging small humans, throwing pottery, creating music, or soaking in the sunshine - but almost always barefoot. We are “divine.” How does the heart define “fear?” How does the heart define “Love?” This workshop will discuss how to bring the “thought” of Love to the heart for healing and a life-changing experience. We will be using Heart/Breath Meditaion with Singing Bowls accompaniment. An informative presentation offering scientific and spiritual evidence on current earth and human changes. Based on cycles of the universe, David explains how this cycle and its energies are intended to raise the consciousness of humanity and help us Rise as Love. During the first part of the workshop we will explore the traditional meanings of some flowers, their shapes, leaves, stalk; while also combining different flowers, to convey special messages. During the second half, we will discuss how to use flowers in clairvoyant readings and messages. An intensive workshop focusing on different means to enhance one’s connection to the various celestial planes. Learn when to utilize planetary, kabalistic, angelic, and chakras for traveling through and calling in energies of the ten major celestial planes. Practical exercises, meditations, and worksheets included. The 8th and 9th chakras are the key to where we have come from and where we are going. Learn how tools like meditation, essential oils, and stones can aid in the improvement of energy flow, and how improvement can aid in achieving your life purpose. Our flag workshop will be a beautiful sacred space of learning and creating prayer flags to bless the places in our lives. We will begin by examining a short history of the flags themselves, and then explore some inspiration through symbols and spiritual representations that can be incorporated into our work. Class will end with a group blessing over our creations. A crown acknowledges your success and recognizes your ability to move ahead in life. So connect with fairy as Ruth instructs you on wire wrapping a magical fairy crown. When you have finished making your crown, Ruth will lead you through an uplifting meditation that accesses a joyful harmony with the fairy realm. This workshop will give insight into the life that each one of us chose to live in this lifetime. We will look at our past lives to help understand who we are spending time with and other factors of WHY did I choose this life? There was once a time when the Divine was seen as feminine – a wise, protective, nourishing Goddess. Her symbols remain if you know where to look - they are recognizable, powerful, and magical. This sacred vocabulary speaks of plants, animals, creation, transformation, and the cycles of the Earth. In this class, you will get to know some of these symbols, what they represent, and how they are used. This ancient imagery will connect you more deeply with the natural world, enhance your altars and rituals, add layers of meaning to your favorite myths and fairy tales, and activate your creativity in new ways. 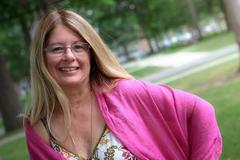 Heather Barrett is the owner of a metaphysical store in Indianapolis, IN. 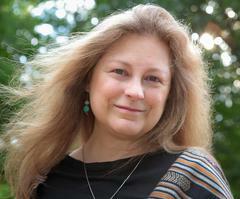 She has been involved in the metaphysical realm for over 30 years as a practitioner and teacher. 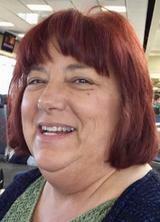 She is a retired police officer, ordained Minister, Life Coach, and certified thru NAMI for Crisis Intervention. Rev. Elizabeth Brown is an ordained spiritualist minister from Historic Camp Chesterfield, Indiana. 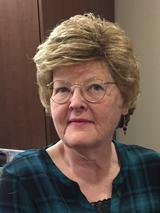 She has been involved in spirit communication, mediumship development classes, messages, and lectures at many Spiritualist Churches in Michigan. Elizabeth has been working with flowers and flower messages for over 15 years. She believes that working with the nature energies, flowers, and spirit encourages a quiet calmness which helps us to be more centered and loving. Minnie Kansman and her business, Eco-Balance Humanity in Harmony with Nature, has been assisting others with Feng Shui, Sacred Space Clearing, and the Nature Spirit Connection since 1994. 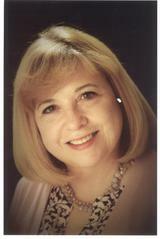 She is a Certified Guide with the Nature and Forest Therapy Association and a Master Feng Shui Consultant and Educator. She is also the author of two books, co-host of the monthly radio show “Travel Adventures,” and owner of the business Nature Travel Adventures. Adiranna Rochelle is a third-generation psychic Medium. From childhood she has been channeling a sacred symbol which she uses for healing and connection energies: the Sacred Triad. Adrianna has been a featured speaker and presenter at churches, colleges, retreats, and expos. She is heard around the world on her Blog Talk Radio Show, “Adrianna’s Psychic Sampler” and “Hot Topics with a Dash of Spirit.” Adrianna is a Sacred Triad Practioner, a Natural medium, life coach, Reiki Practioner, author, wife, and mother! Deb Swingholm (www.floweringmoon.com) is an author, artist, educator and spiritual coach, has a passion for travel that has led her all over the world. Living in Thailand and the Middle East for several years allowed her an insider’s view few get to experience. With deep respect for the cultures, she was invited to participate in spiritual traditions, shamanic practices, and local rituals of the lands she traveled. A love of nature, the Divine Feminine, and women’s sacred traditions are reflected clearly in all her work. She is a Master Teacher of Feng Shui and Space cCearing, a Reiki Master and gifted intuitive with more than 20 years experience in the field of personal development and transformation. Do you have trouble meditating due to an incredibly busy mind? Because of my own struggles with this I have developed other ways to help me focus intent for longer periods of time as opposed to trying to silence my mind. I will share this technique using a Prayer Urn - a vessel created to harness energy that increases over time. We will have group participation where I help everyone create a manifestation mandala which we will burn in the Prayer Urn that I will be bringing with me for the event. In this class we will work with numerous physical tools to assist us in our daily lives. Pendulums, wands, generators, elixirs, grids, body stone layouts, and more. Have fun while experiencing the energy which we can create with them! Journey with David to remember the love and goodness you are, as he inspires you to Just Be Love. This interactive presentation will offer greater understanding of our soul’s journey with love and living from our heart. You will learn how to choose, clean, and charge your stones. Learn about colors and shapes. We will discuss a basic beginner’s kit and learn how to access their energy to help you in your daily life. This workshop will discuss the Conscious mind and how it is in constant interaction with the “Unconscious Mind” creating a “portal” to your past lives. Are “we” born (again!) with an unconscious mind that “contains” all of our past lives? How does the conscious mind work? An in-depth exploration into the 4 elements, air, fire, earth, and water. Learn the one-dimensional properties, two-dimensional power cycles, three-dimensional qualities, and how to strengthen spiritual results utilizing them together. Exercises, meditations, and worksheets included. In this workshop you will learn: how and when to create a ritual. Form and content, including what tools or elements to incorporate such as altars, prayers, song, drumming, colors and symbols. And we’ll talk about creating a variety of different rituals to enhance your life - healing, blessing, releasing, full or new moon, and seasonal ceremonies. You will learn sacred practices to forgive yourself and others in order to raise your vibration and embrace your divinity. We will be using different healing practices including that Sacred Angelic Triad, the ancient Ho’oponopono, the Akashic Records, and visualizations to forgive and release. Do you feel a special relationship with a particular animal? With a little practice, you can develop your relationships with animal helpers that you are drawn to. In this workshop, discover their special powers, and help gain their assistance in your daily life. Dragonfly moves us beyond the illusion of our limitations. Joyfully transform something in yourpersonal or professional life. Create a new perspective for a new adventure, or energize a current situation. Partner with the dragonfly creating sacred space for transformation.